When it comes to decorating and furnishing our homes, we always want it to be a reflection of our own sense of style and who we are as people. However, we still want to have a family vibe to the space, making it warm and inviting. 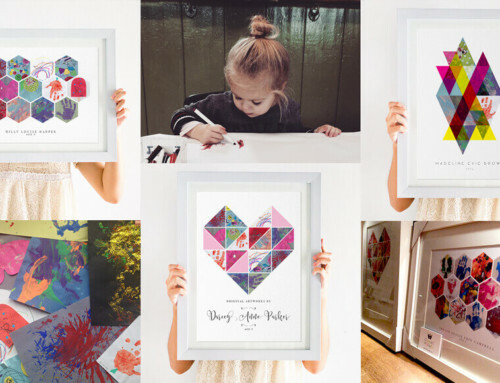 One way to make sure that your room, no matter where it is in your home, has a truly family feel is with wall art. But which is the best wall art to go for? When it comes to raising a family, one thing that you are sure to take and have plenty of is family photos. Family photos are not only great memories to keep for years, but when they are put into frames or made into a collage, they make for a really great piece of wall art. 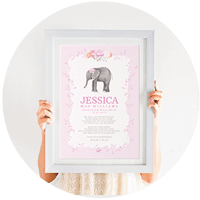 You can choose the frame to match in with the style that you like and you can even change up the photos as often as you like. After all, children grow and change over the years. As parents we are always being given pictures that our children have made for us. Whilst some may seem like scribbles and we have to hide away in the bin (come on, we all do it) others are pretty impressive works of art and often taken pride of place on the fridge or family notice board. But who says that it has to stop there? Sometimes you can find that a drawing is so good that you want to be able to proudly display it for all to see. This is when you can transform it into wall art, by framing it. Not only does this mean that you can hang it anywhere, but it will also go some way to preserve the photo too, which is ideal for those extra special doodles. Like the idea of having a bright and colourful dedication to every single member of your family? Why not take a look at our welly boot prints? We have created a print that is ideal for any family home, in any room. Depicting each family member with a pair of welly boots, even including a bowl for any pets that you might have. We believe that when it comes to fun and funky wall art, you can’t beat a pair of gorgeous welly boots. Best of all, when you buy one of our welly boot prints, you can make it all your own. Not only can you choose from a variety of boots, you can also choose from a number of accessories too, which makes for a personal as well as pretty addition to your home. As you can see, wall art comes in all shapes and sizes, but one thing is for sure, when you pick the right one, you are sure to create the ideal family space for everyone to enjoy. As you can see, there are a variety of ways that you can use wall art to transform your space. Not only giving it colour, but also making it an inviting and family friendly space that everyone can call their own.